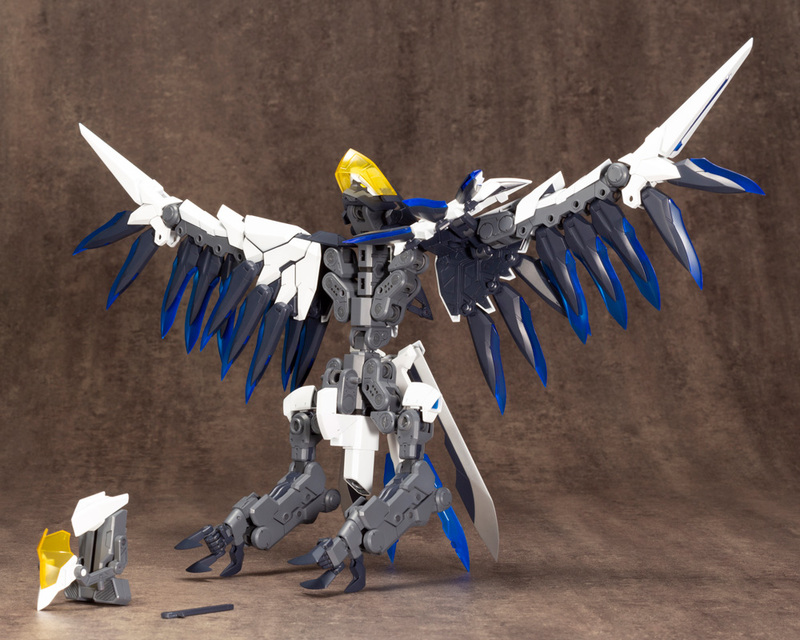 The third gigantic combination to join the “Gigantic Arms” series is Lucifer’s Wings! 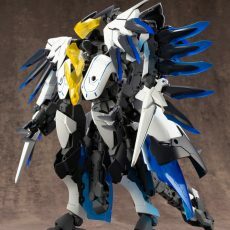 This enormous power suit’s design is based on a holy knight’s suit of armor, which can be reconfigured into two distinct support machines. 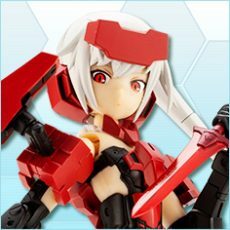 Place your Frame Arms Girl model inside this highly articulated action suit to recreate a variety of action packed poses! 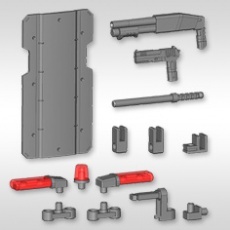 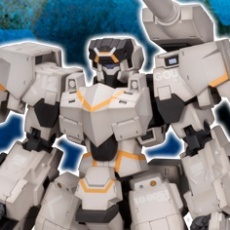 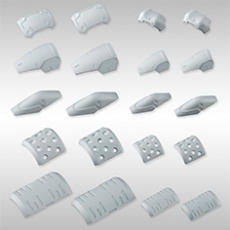 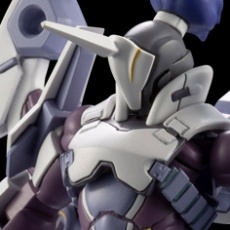 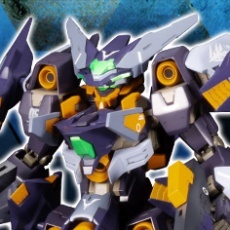 The “feather units” on the shoulder armor are equipped with 3mm connections, allowing them to be removed and used with other models such as Frame Arms and Hexa Gear. 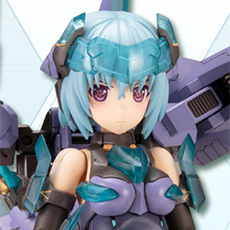  When configured as the power suit, a Frame Arms Girl or Megami Device model can be placed in the suit, like Gigantic Arms 01 Powered Guardian. 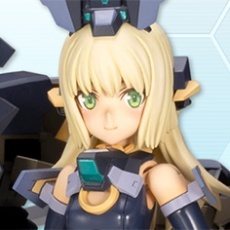 *Due to the limitations of the suit’s construction, certain models are not compatible. 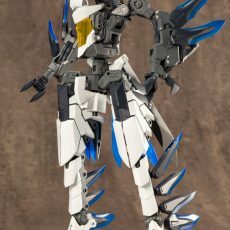 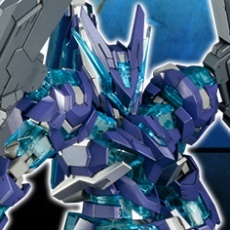 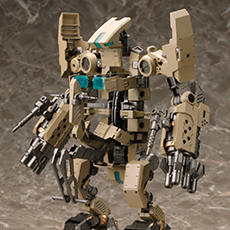 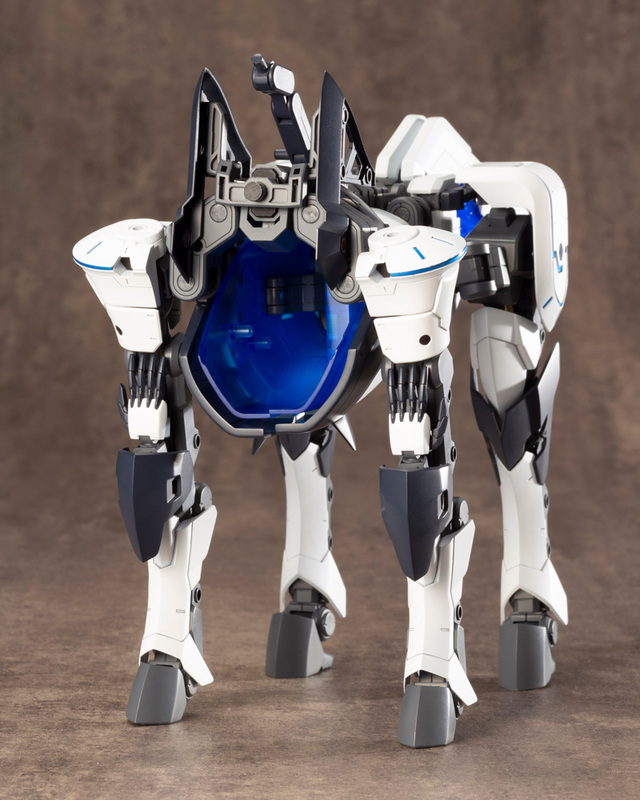 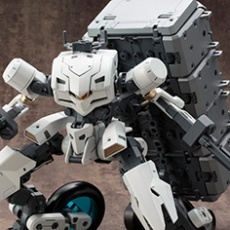 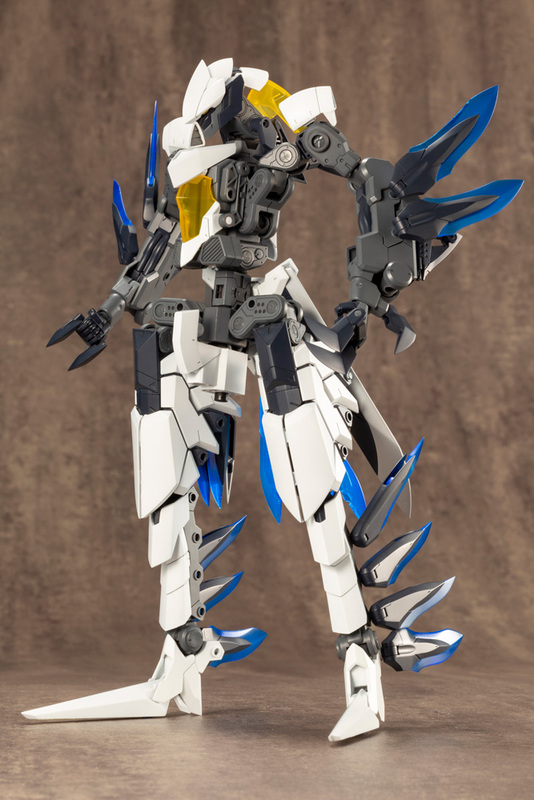 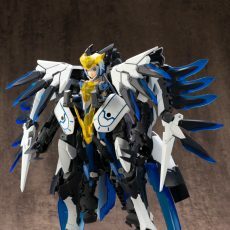 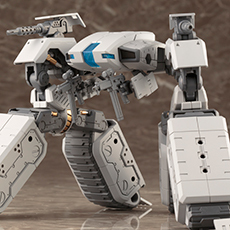 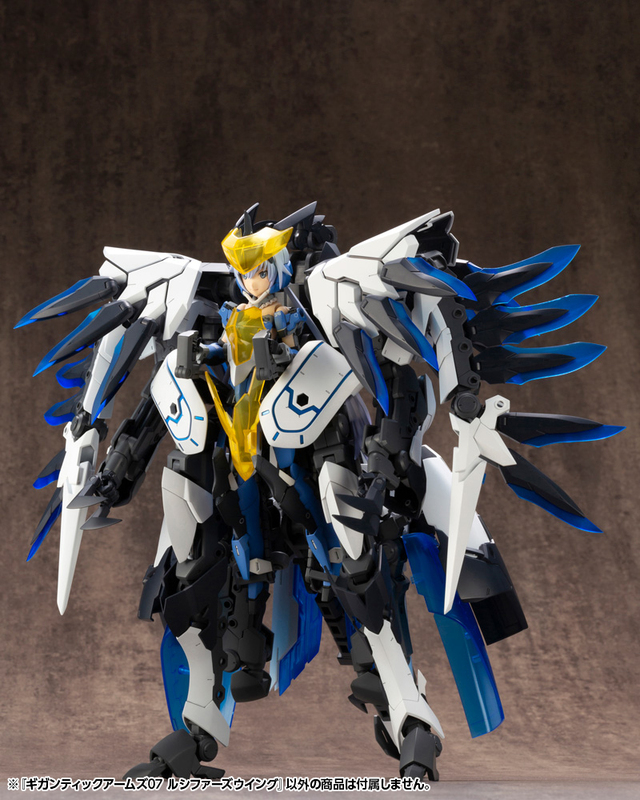 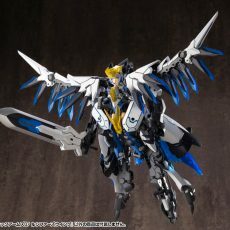 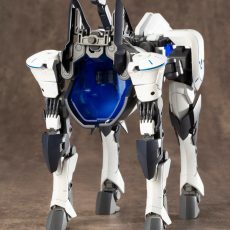 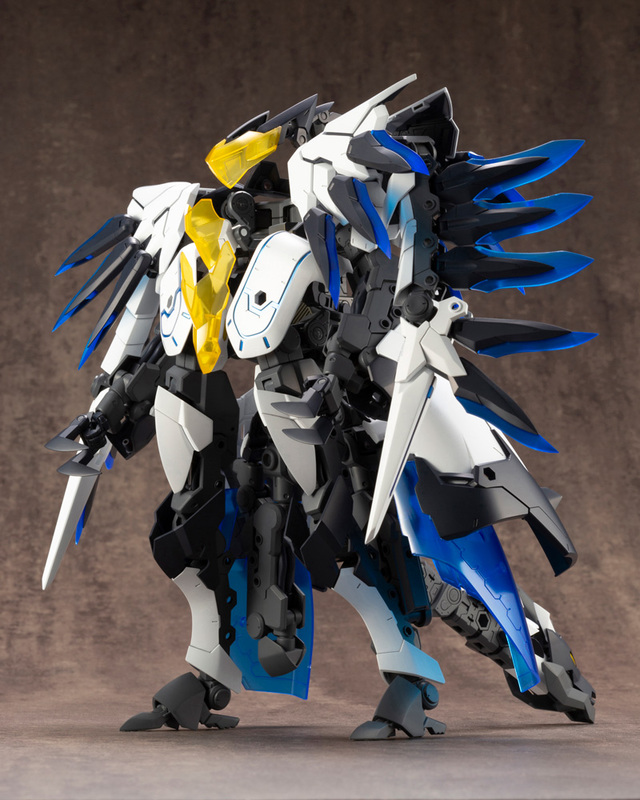 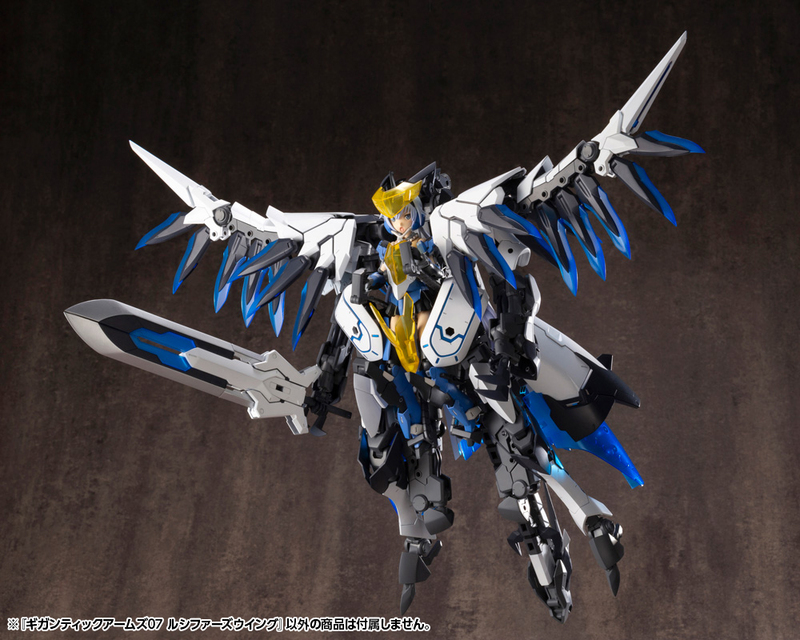 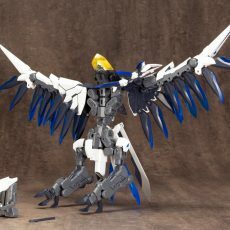 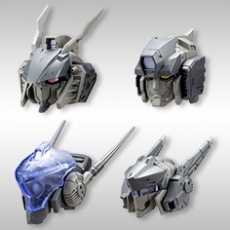 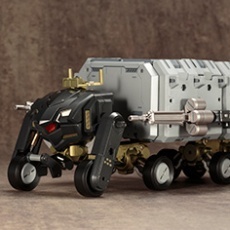 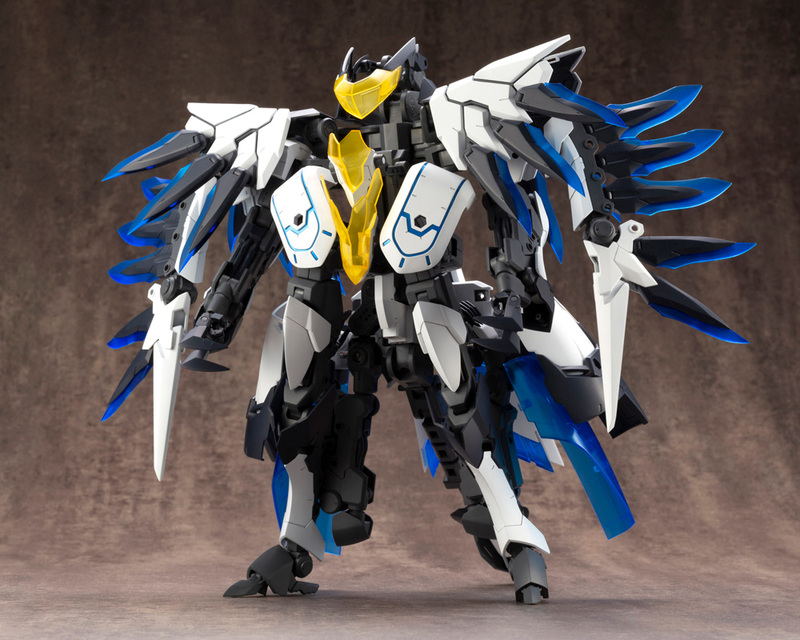 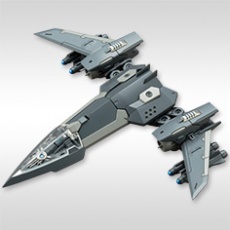 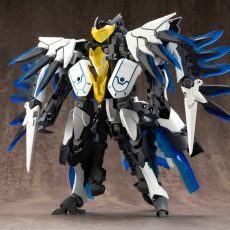  The model can be transformed from a power suit to two unique support machines, Harpy Unit and Unicorn Unit. 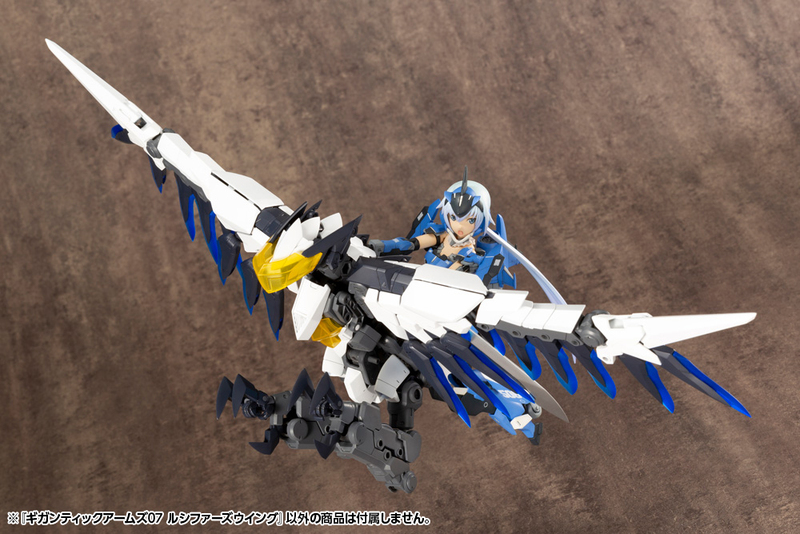 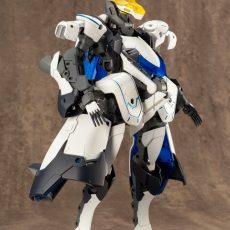 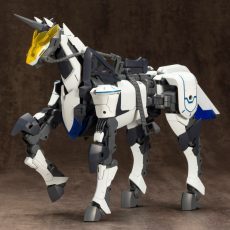 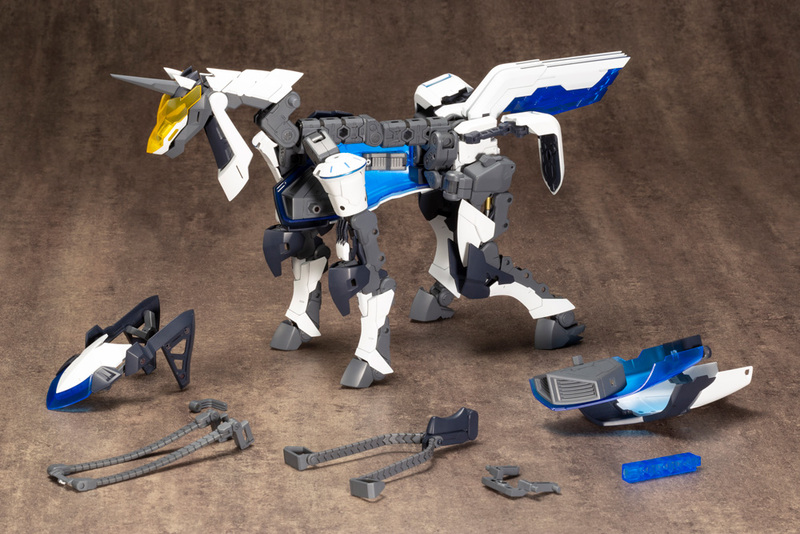 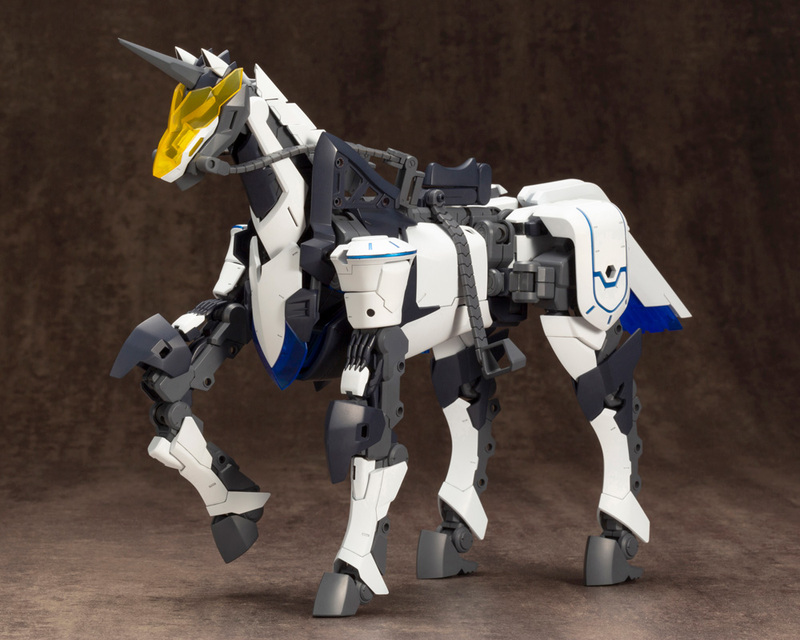 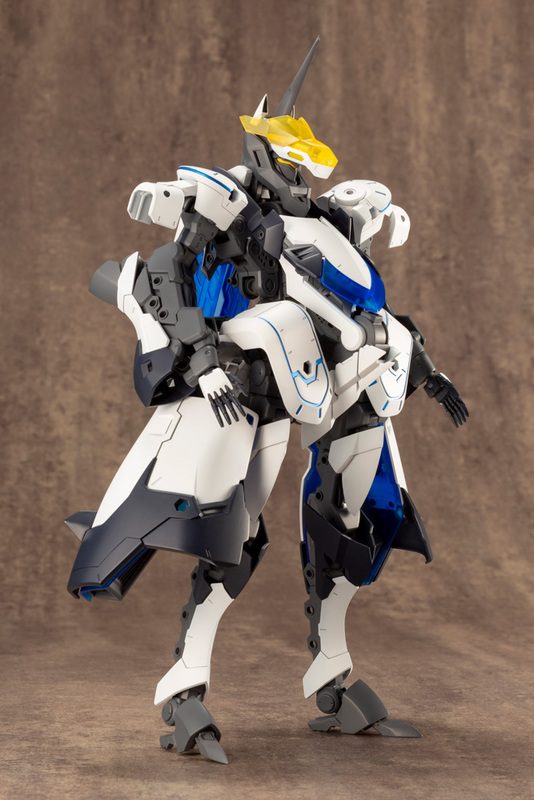 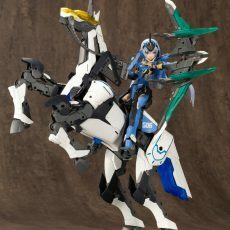 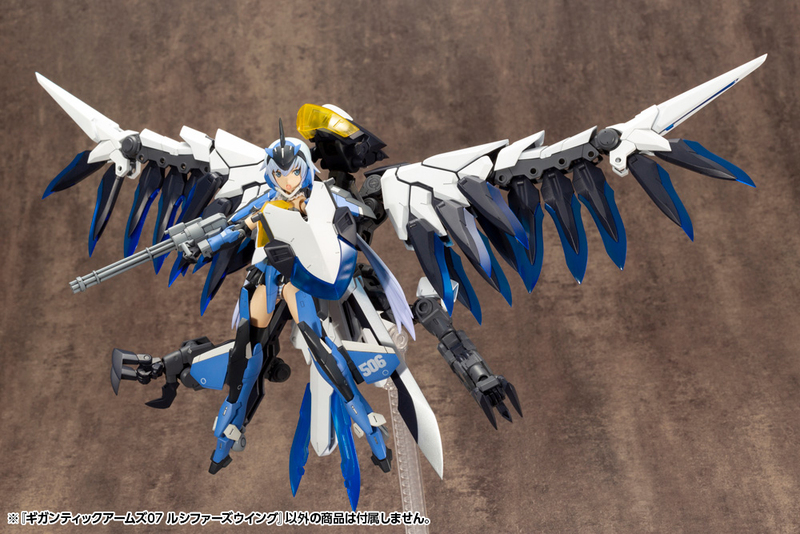 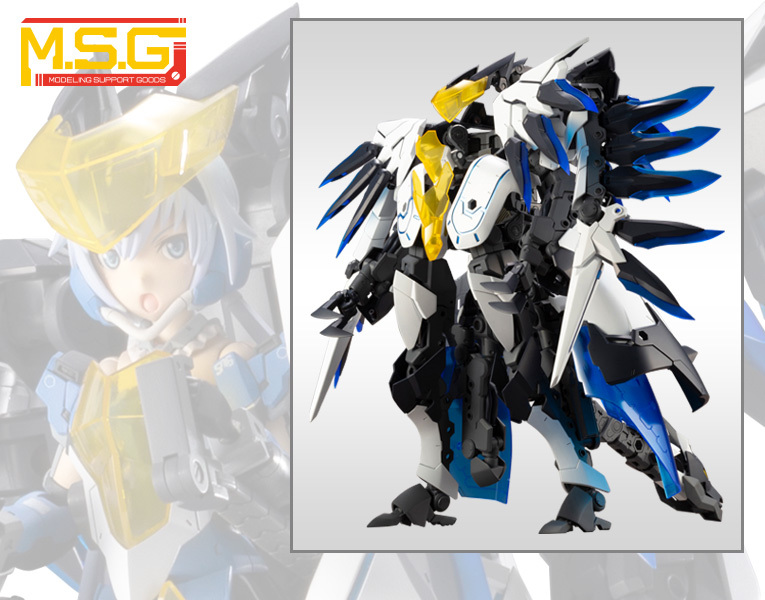 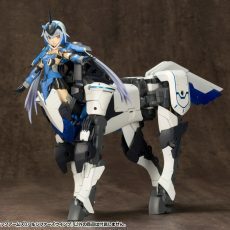 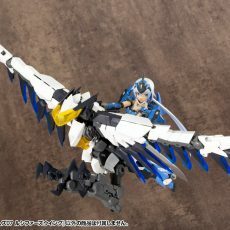 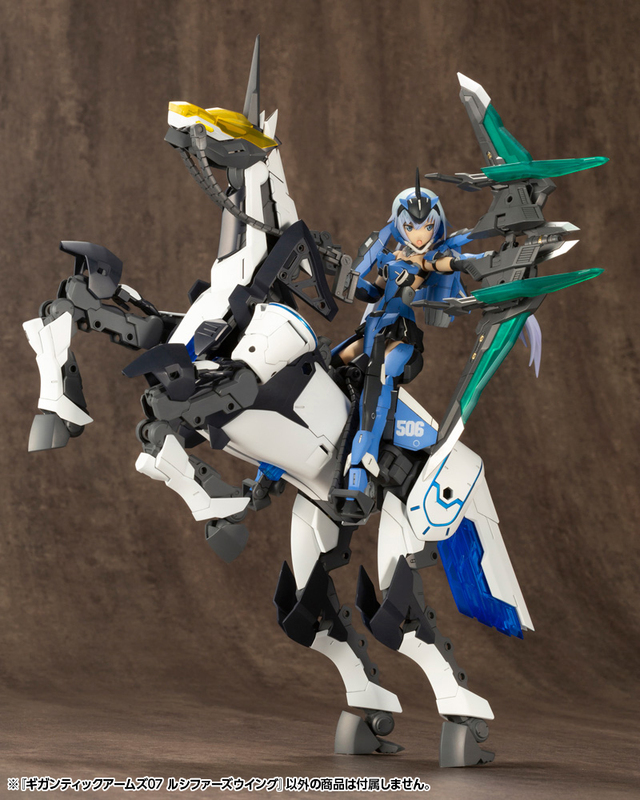  Frame Arms Girl models can ride on the Unicorn Unit. 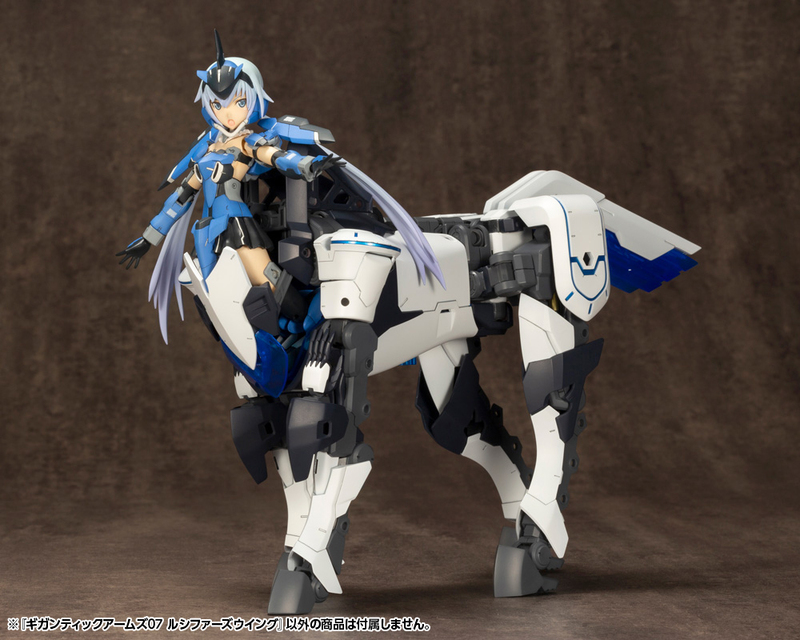 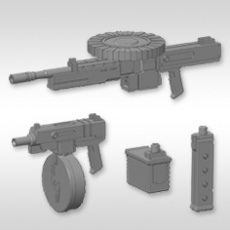 Parts from the unit can also be combined with a separately sold Frame Arms Girl model to create a centaur. 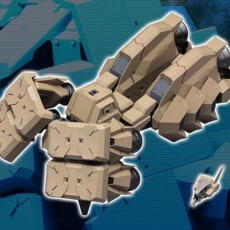 *Due to the limitations of the suit’s construction, certain models are not compatible. 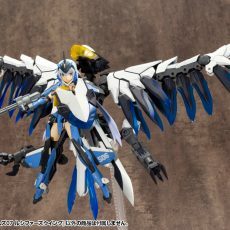 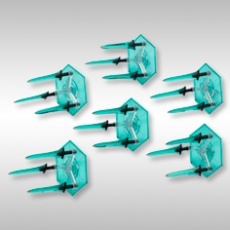  The blades of the “feather units” on the Harpy Unit are made of clear blue plastic, and are poseable and extendible. 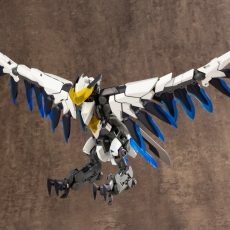 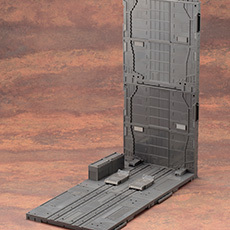 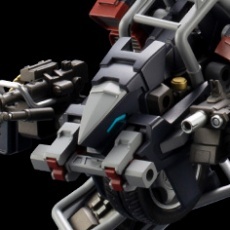 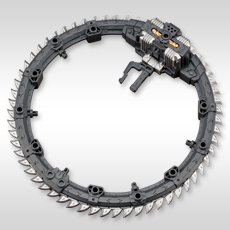 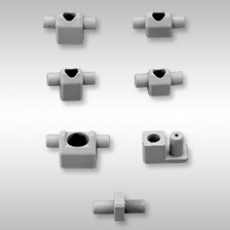 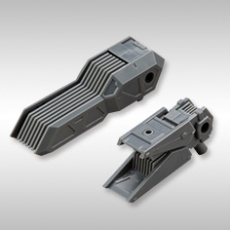 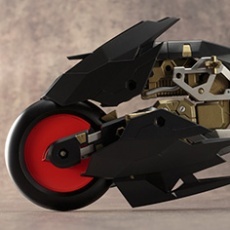 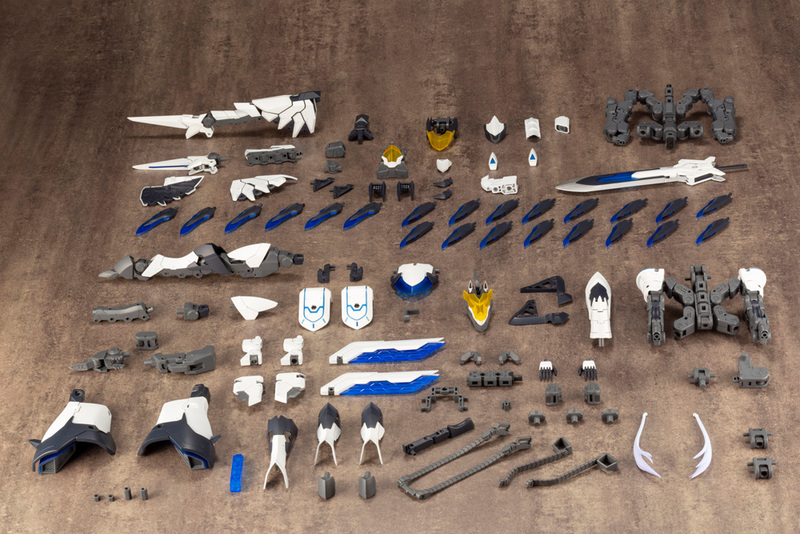 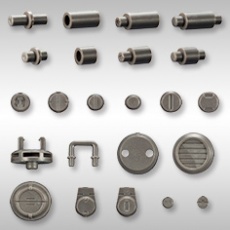 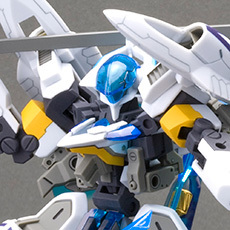 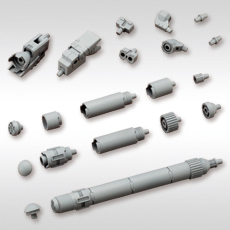 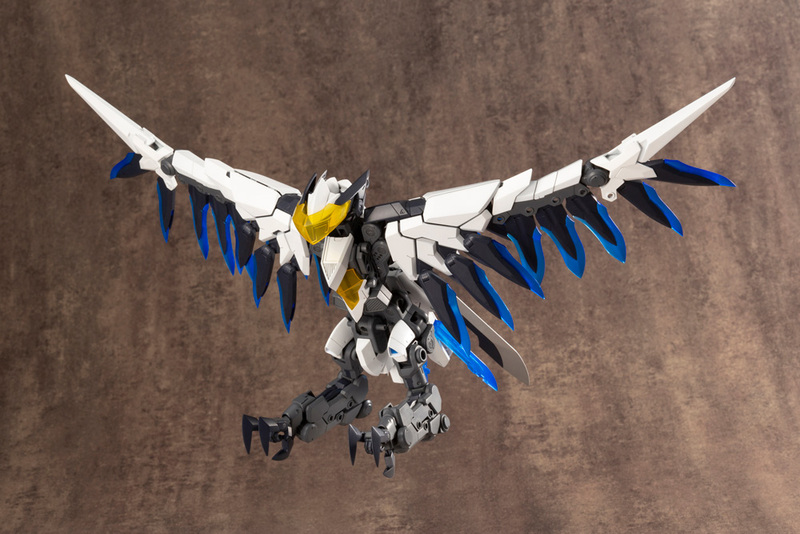 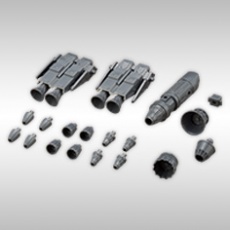 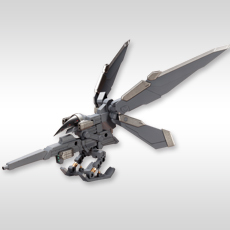 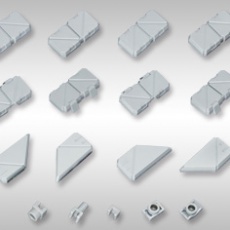 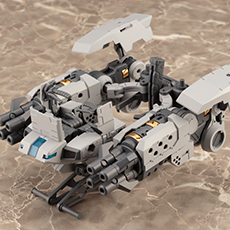 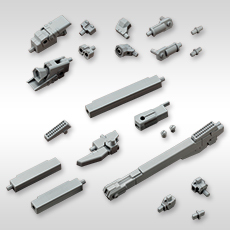 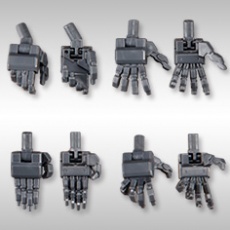 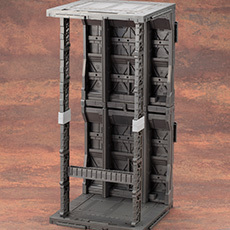 Each feather unit is equipped with a 3mm connection, allowing them to be used with other models such as kits from the Frame Arms and Hexa Gear lines. 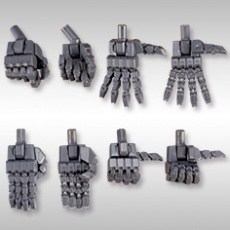  The connectors used to hold a model in place inside the power suit are equipped with slide joints, allowing you to adjust their angle. 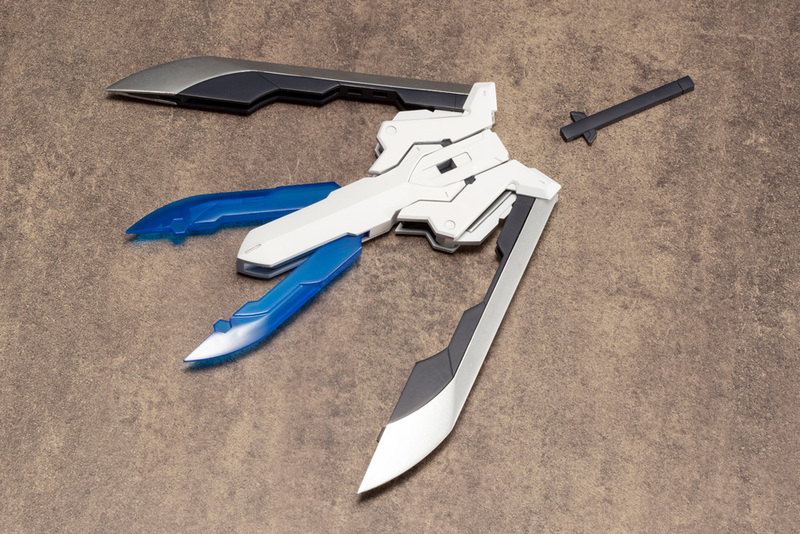 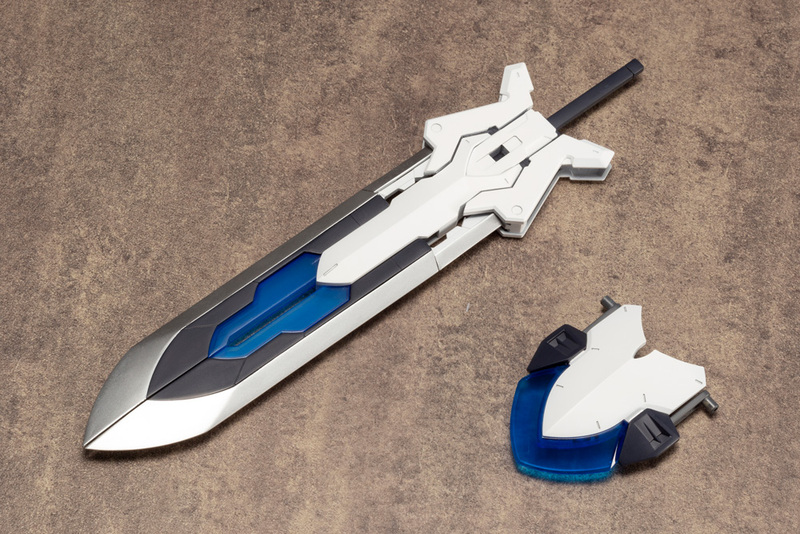 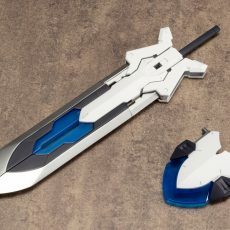 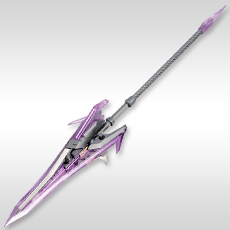 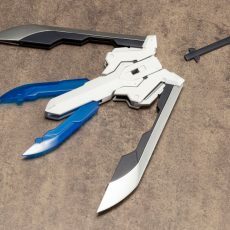 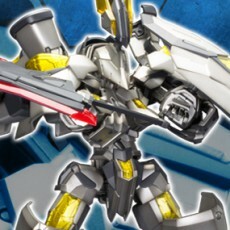  The each piece of the included “Gigaslash Edge” great sword can be opened, altering the weapon’s shape and appearance. 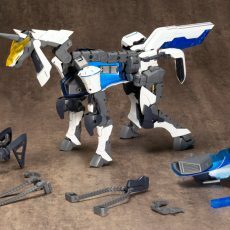 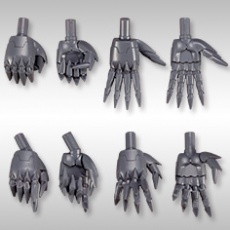 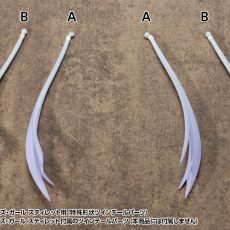 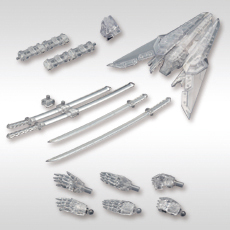 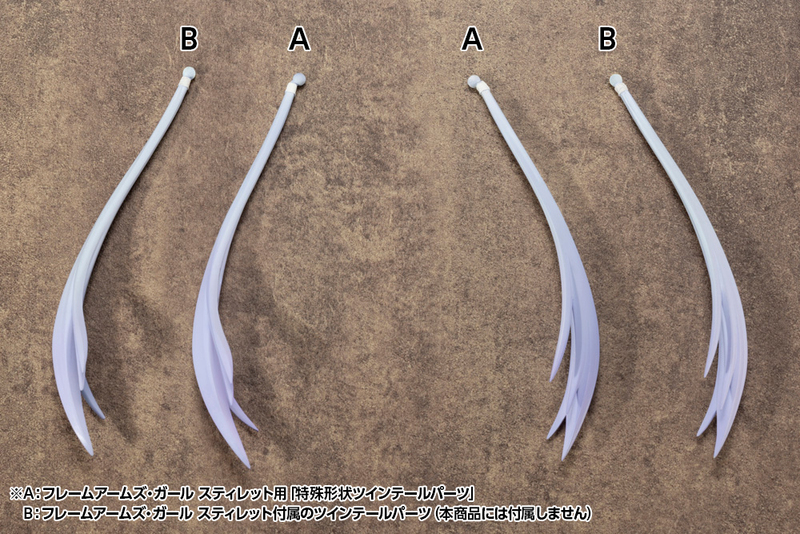 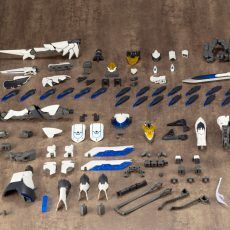 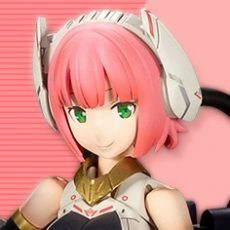 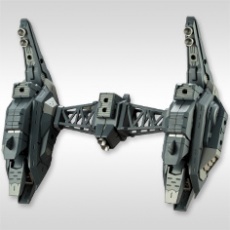 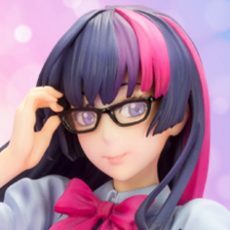 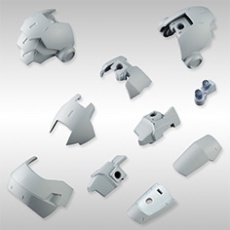 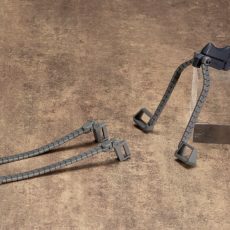 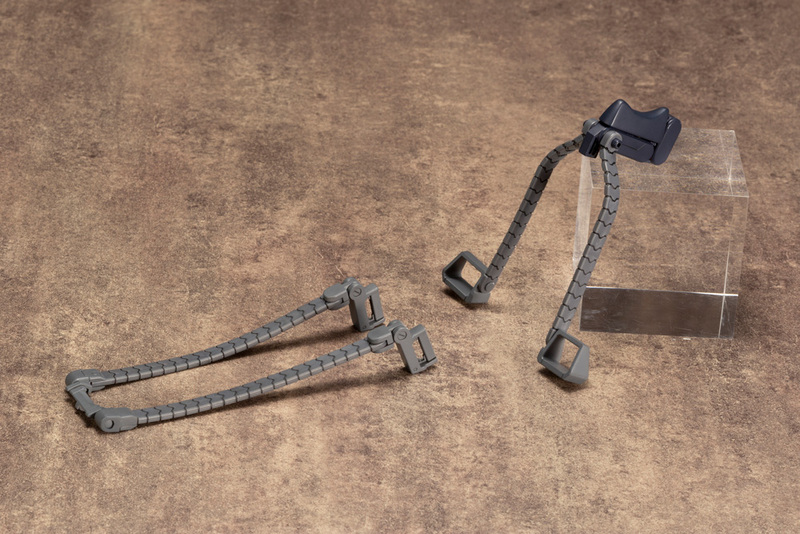 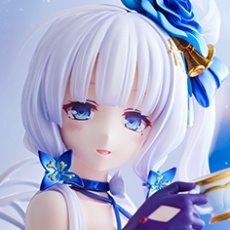  The strap and “motion tracer” controller parts for the power suit and unicorn unit are made of soft plastic, giving them flexibility for a variety of action poses.